Something slightly different today – Solomon’s Knot. It’s a very open, lacy stitch, unlike anything I’ve done before. It seems complicated at first but is actually very easy. The biggest challenge is keeping each stitch the same length as the last. 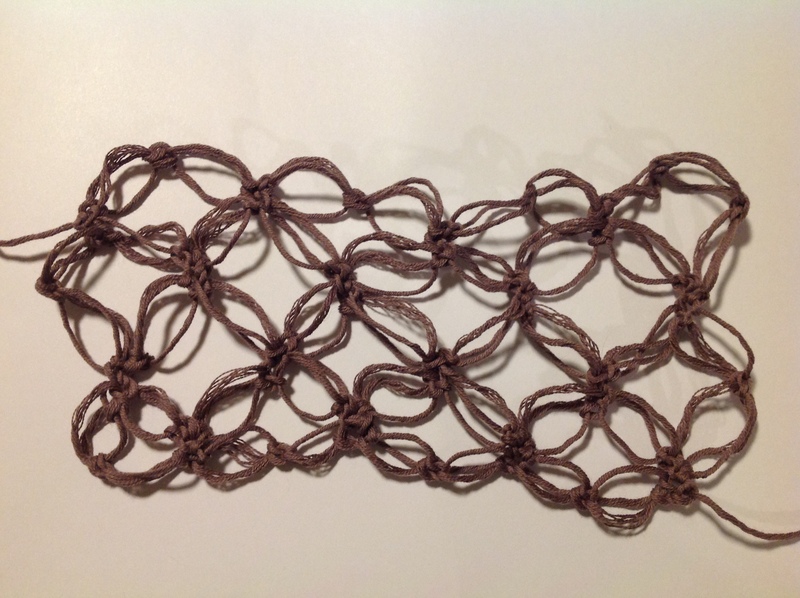 Finally, though, I can see a reason to buy lace weight yarn!